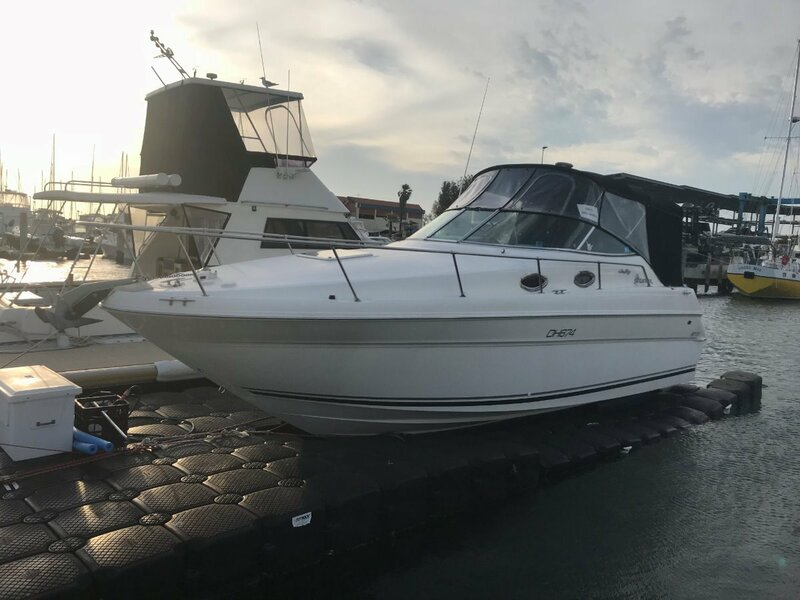 This 2000 model 270 Sundancer is a credit to her owners! You'll struggle to find a better example of this model at nearly 30ft oa. The 270DA has huge volume & is a wider longer boat than the 275 models around. "Sapphire" is powered by the 7.4L MPI 310hp engine... She's a must see! the 7.4L MPI 310hp engine enabling her deep V hull to run well in the chop while remaining very stable at rest, with the factory Kohler genset, aircond, camper back covers, new cockpit upholstery and the fact that she has been kept on a dry dock since new, and you have a winning combination if you want a well equipped safe Rotto boat for the family. * All very well maintained. Owners have moved into another boat and have priced this nice package to sell! The JET DOCK ( floating brick / dock system) is included in the sale as is the Hillarys pen ( subject to DPI apprval), however the price is marginally negotiable on the boat if you did not want these features and wanted to take the boat away. Contact Mansfield Marine Brokers Hillarys or Fremantle to view this vessel, that is located at Hillarys Marina. Well worth a look with a lot to offer her next family!